Sounds like a fun way to get somewhat random performances, but it might work better with more experienced game players as actors (as in Critical Role, which my son watches religiously). Finding enough good actors who are also good D&D players might be tough, though. I saw a different fusion of D&D with theater last year—WEST Ensemble Players (a local teen troupe) staged “She Kills Monsters” by Qui Nguyen. 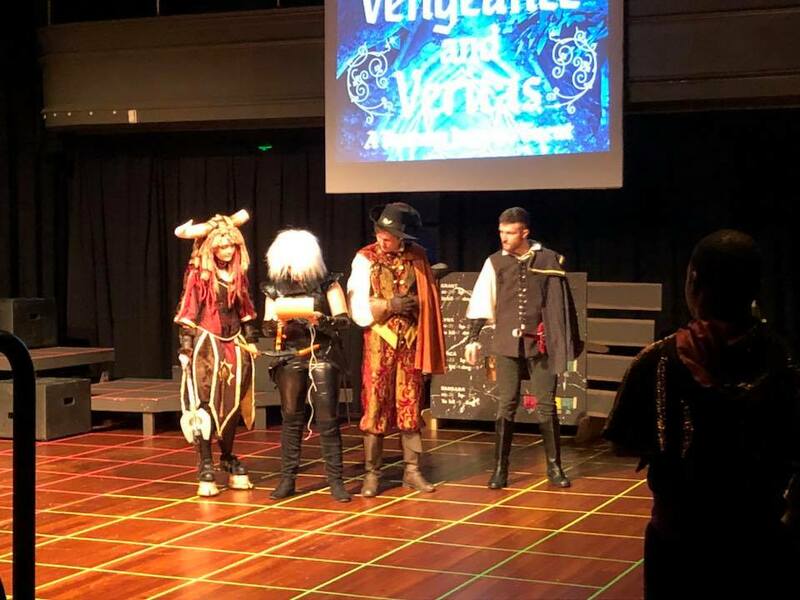 Although some of the dialog is anachronistic (owing more to video game playing than D&D), the play is a good one for a teen troupe (and WEST Ensemble Players did a good job with it).